Between the time the checkered flag flew at Michigan and the start of Saturday night's race at Bristol Motor Speedway, Richard Childress Racing had an eventful week. With Gil Martin taking back the reins of the No. 29 from Shane Wilson and the No. 27's hefty penalty for altered frame rails, RCR's been in the news and not for the best of reasons. But as they say, it was Bristol, baby, and all three series were in action at the .533 mile track, so the teams set aside all the off-track drama and came out of the weekend with some solid performances. No wins, but the organization looked good across all teams in each division. In the NASCAR Camping World Truck Series on Wednesday, Joey Coulter brought the No. 22 Steak-umm Chevy home fourth, his third top five of the season. Brendan Gaughan looked strong in the No. 2 South Point Hotel & Casino and finished in fifth, his third top five in his five starts with the team this season. Ty Dillon in the No. 3 Bass Pro Shops machine made his first start at Bristol. He sat in fourth position at the green-white-checkered restart of the UNOH 200 but ran out of fuel just as the trucks started moving, relegating him to a 21st-place finish and putting the points lead squarely in race-winner Timothy Peter's hands. Friday night the Nationwide Series hit the track in the Food City 250 with all the beating and banging that made Bristol so popular. Austin Dillon described the track: "Bristol Motor Speedway has basically been flip-flopped. The racing groove used to be at the bottom, and now it's at the top. When you're all in one line running and someone holds you up it really hurts you." Dillon finished fourth in the No. 3 American Ethanol Impala, but not without some fallout. 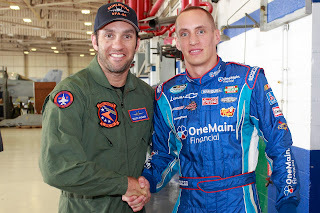 "At the end I was racing with Trevor Bayne and Kasey Kahne was behind me. I got a run and got under Trevor to pass him but couldn't clear him. Then I got loose going into turn one and Trevor turned." Dillon said. "It's just part of it.Somebody was going to get loose right there at the end. It was just a freight train at the top. It's pretty wild. I think Bristol Motor Speedway officials got what they wanted with this race tonight." Bayne reportedly paid a visit to Dillon after the race, but Richard Childress stepped in before the confrontation escalated. 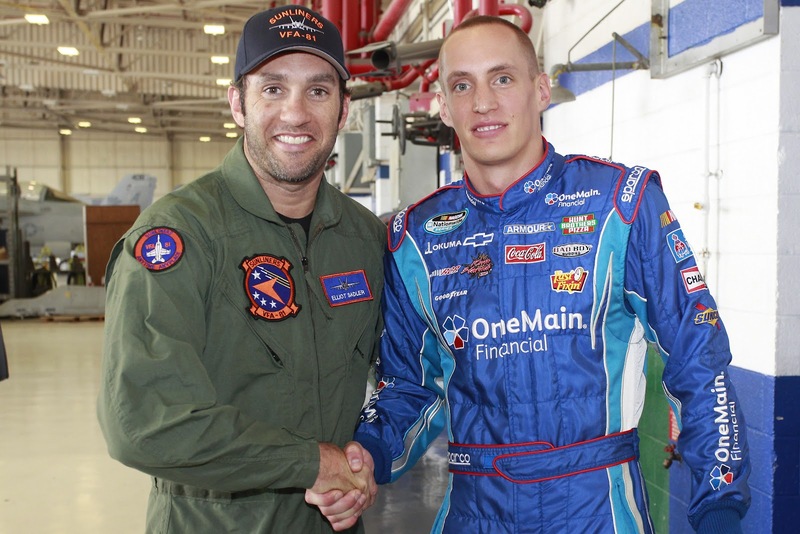 Elliott Sadler and the No. 2 OneMain Financial team scored a fifth-place finish after a run-in with the No. 6 of Ricky Stenhouse Jr cost Sadler the chance to contend for the win. Sadler stated, "Not the finish that we wanted or deserved tonight at Bristol (Motor Speedway). The No. 6 car got into me on the last restart, and I am just glad that I was able to save it. I really wanted to race that No. 18 car for the win there at the end." Stenhouse went straight to Sadler after the race, apologized and said he didn't mean to hit the No. 2, but with the championship on the line, Sadler's out of patience and will likely not be too particular how cleanly he races the No. 6 in the remainder of the season. Sadler retains the points lead for the 12th consecutive week; he's been atop the leaderboard for 19 of 23 weeks. Dillon sits 35 points back in fourth place. Kevin Harvick made his ninth start of the season behind the wheel of the No. 33 Hunt Brothers Pizza Chevy. He led 98 laps, but ran out of fuel with 20 to go and had to pit, putting him a lap down. Harvick clawed his way back onto the lead lap but was only able to get up to 15th. Saturday night's Sprint Cup race, the IRWIN Tools 500, brought even more beating and banging. All the RCR teams performed well for once, with Paul Menard in 10th and Kevin Harvick in 15th. Jeff Burton finished 33rd because he was in the wrong place at the wrong time and couldn't avoid getting caught up in yet another installment of the Juan Pablo Montoya vs. Ryan Newman saga. While none of the teams won or finished in the top five, they had better runs overall than they've had in weeks. While the No. 27 team appeals the penalty that would take crew chief Slugger Labbe, car chief Craig Smokstad and engineer Grant Hutchins away for six races, the team worked hard to keep Paul Menard near the front. Despite handling issues, a speeding penalty exiting the pits on Lap 149, and a mysterious leak that brought them to the pits two more times under green, they pulled together and never gave up. The inside line thwarted any driver unlucky enough to have to restart there and Menard had to do so several times, costing him positions throughout the race, but the bright-yellow No. 27 hung on to finish 10th, the team's sixth top 10 of the season. "This entire No. 27 Schrock/Menards Chevrolet team overcame a lot for this top-10 finish. The pit crew was amazing tonight, too," said Menard. "Once we were able to move into the high groove, the car was pretty good. We were just too tight on the bottom." Rolling off in sixth gave the No. 31 Caterpillar team hope for a good race and it looked as if they'd get it. 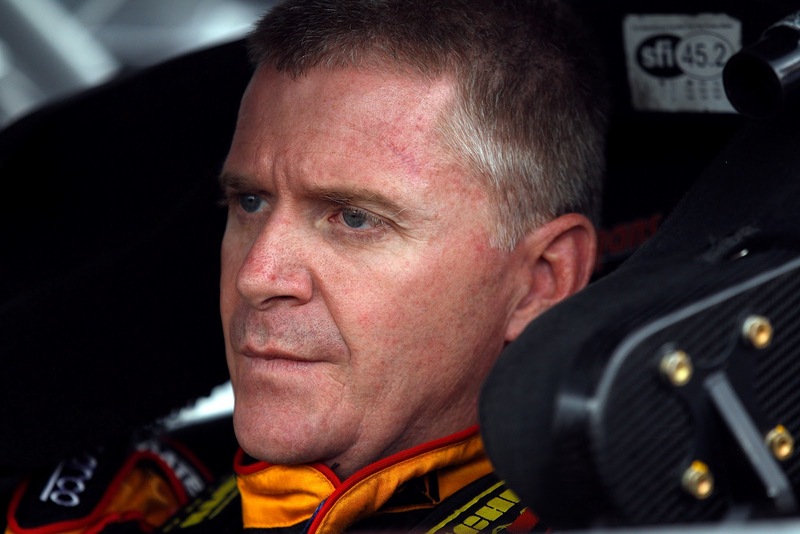 Jeff Burton ran as high as second position, and even scored the fastest lap of the race seven times. But like the other Jeff in the Cup series, Burton's luck hasn't been all that good this season and he got collected in a run-in between the No. 42 and the No. 39 on Lap 192. Burton ended up behind the wall, returning to the track on Lap 327 to finish in 33rd. With Gil Martin back at the helm and wife DeLana back on the pit box, Harvick seemed to be closer to his old self. While the team did make adjustments throughout the race, the driver didn't seem to be fighting as many severe handling issues. Harvick ran as high as second but just as in the NNS race, fuel mileage became an issue. Stopping at Lap 415 put Harvick back in 11th and he just couldn't get back through traffic in time to contend. He slipped back to ninth in the points standings. With two races to go in the regular season, Harvick has to take care not to fall any farther or he'll be scrambling for a spot in the Chase.